Croatian Serb rebel leader Goran Hadzic, 58, former leader of the 1990’s self-proclaimed Serbian Republic of Krajina (part of Croatian territory occupied, ethnically cleansed of Croats and other non-Serbs, terrorised and devastated) who was tried by the UN war crimes court ICTY – International Criminal Tribunal for the Former Yugoslavia) over his role in war crimes committed by Serb aggressor in the 1991-1995 war in Croatia, has died on Tuesday 12 July 2016 in a clinical centre in Vojvodina part of Serbia. Hadzic wanted to create a Serb-dominated state after the splintering of the former Yugoslavia in 1991 following the collapse of communism; after Croatia announced and proceeded with the majority (94%) of its people’s wish to create an independent state, secede from communism and develop a democracy. Hadzic was charged by ICTY prosecutor with 14 counts of war crimes and crimes against humanity. 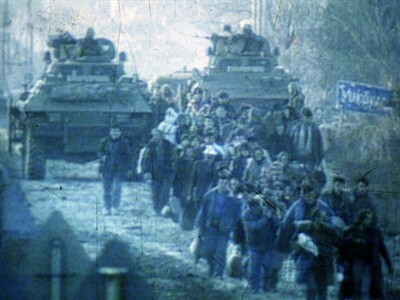 The accusations include the murder/massacres of civilians who were taken from Vukovar hospital in 1991 in one of the conflict’s darkest episodes, forced deportation (ethnic cleansing by way of murder, unlawful jailing, beatings, deportations and forcible transfers) of at least 20,000 Croats and other non-Serbs from that area. He was also charged with responsibility for the massacre of Croat civilians who were forced to walk into a minefield in the Croatian town of Lovas in October 1991, one of the first crimes of the long, bloody conflict. He spent seven years on the run in Serbia from UN prosecutors after being tipped off about arrest. Prosecutors finished presenting their case against Hadzic in November 2013 and Hadzic had just started his defense when he was diagnosed with cancer in 2014. In April 2015 ICTY ordered an indefinite halt to the trial as he battled the advanced stages of terminal brain cancer. Goran Hadzic was born on 7 September in Vinkovci area, Croatia. Before the 1990’s war he worked as a store man while his political involvement began in the nineties with the Serbian Democratic Party (SDS), where he was president of its Municipal branch of Vukovar, a member of the Central Committee in Knin and president of the Regional Board for Slavonia, Baranja and Western Syrmia. In January 1991 Hadzic was elected president of the Serbian National Council in Croatia, in August of the same year he was elected Prime Minister of the Serb rebel self-proclaimed Serbian District of Slavonia, Baranja and Western Syrmia while his political engagement that had its sight on carving Croatian territory for Serbs rose to President of the Republic of Serbian Krajina in February 1992 after the convicted war criminal Milan Babic lost the position. Losing at December 1993 elections Hadzic went out of politics for a while. Hadzic was the first on the list of about 150 war crimes Serb suspects to be excluded from the 1997 Croatian law which provided for amnesty against criminal charges for quite a number of Serb nationals suspected of committing crimes in Croatia during the war. Croatian authorities were adamant Hadzic was to face trial for war crimes; sadly the said amnesty provided many Serb war criminals (murderers, rapists, concentration camp torturers…) with freedom and no requirement to carry any responsibility for their crimes. Having fled to Serbia Hadzic was nevertheless indicted on war crimes in Croatia. 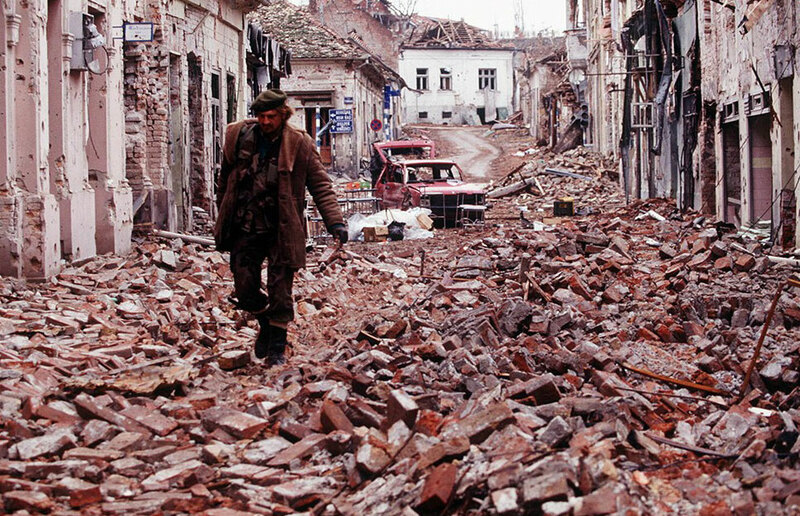 In fact Croatia excluded from a war crimes amnesty for Serbs in the rebel enclave of Eastern Slavonia more than 800 people, including eminent retired and current Yugoslav army officers. At Western insistence, the Croatian parliament had pardoned Serbs who were in the eastern region during or after a 1991 revolt against Croatia’s move to independence from the Serbian-dominated federal Yugoslavia. The amnesty, intended to reassure local Serbs in advance of Eastern Slavonia’s U.N.-supervised transfer back to Croatian authority by 1997, does not cover Serbs suspected of war crimes as defined by international law. ICTY in The Hague published its indictment against Hadzic in July 2004 on charges referred to above. Soon after hearing of the indictment he abandoned his house in Novi Sad, Vojvodina Serbia and hid as fugitive in Serbia for seven years. 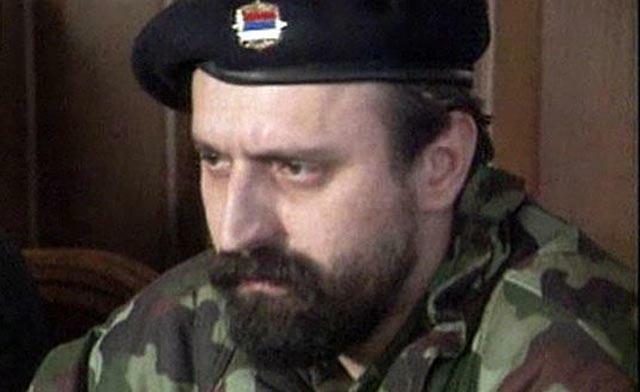 In October 2007 Serbia publicised a reward for information leading to the capturing of war criminal fugitives including Hadzic and he was finally arrested in Serbia July 2011 and transported to the Hague. 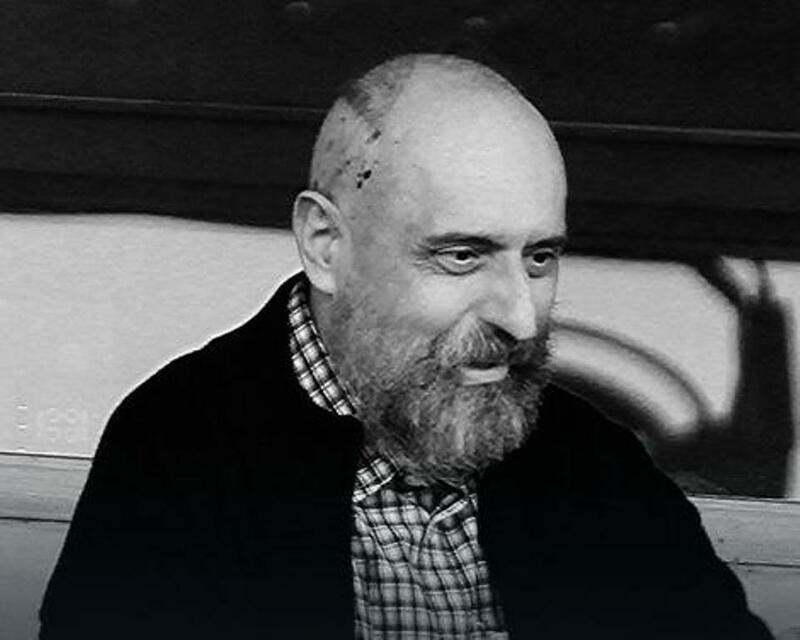 Some people out there might say that although Hadzic’s death has prevented justice from being done in his case, the crimes he was accused of do not and will not remain unpunished, because there are other Serb leaders and war criminals charged with and convicted of them. That is absolutely no consolation for victims of his crimes. However, the fact that he was convicted by Croatian courts in absentia brings at least small consolations, and so his repugnant plea of innocence at the Hague and unfinished defence due to his death cannot bear the same weight as dying before criminal trial completion without any convictions from anywhere. Hadzic was guilty of war crimes, was found to be guilty and died as a major war criminal. Devastating wars ,only the victims pay the heavy price.Regards. Indeed, the world is witnessing it’s worst period in history.THE LACK OF INTELLIGENCE IS THE GREATEST POVERTY. Very sad … always thoughts and prayers. Yes, I pray that for the world … for humanity. Always, prayers. From all accounts he was a brutal man, justice in our eyes may not seem to have been served for all of those thousands he was responsible for killing and wounding. I hope there is a justice beyond our eyes Ina. The world should never forget the victims in all of these crimes.. Yet it seems Many who instigate and contrive in such wars walk free and are in many instances making their millions to this day. We are living in precarious times still. Agreed. Hadzic was a real pig. May all the victims from all sides find peace, all perpetrators, from all sides, be faced with the strong arm of justice. Too often in that region one only mourns their own victims and they lionize their own war criminals. Not here. Peace be upon all, regardless of ethnicity. I remember then, how every news of the war showed man’s cruelty to each other. They are lessons we are still not heeding. I pray healing for those with hurt minds and body. Wars and terrors are the shame of our generation. I can only imagine… It irks me to think of it. PAY NOW OR PAY LATER…PERHAPS IT IS NOW—BY THE JUDGE OF ALL MANKIND. we trust in His judgment….Right? These pictures are heartbroken. Thnk you for sharing. Two questions were posed today: would you choose Truth or Freedom? And would you choose Unity or Diversity? I just can’t believe what some human hearts can do. Too hard. I wish God had created softer hearts and put in all the people of the world. May it be so Ina! It’s such a horrible sad history. And such a shame, Sibenik is an amazing place isn’t it? I’m writing a travel related piece on it myself at the moment and it sure brings back lots of lovely memories but a lot of sad stories once heard as well. It’s good to see that people are still writing and talking about all that happened. It’s a horrible thing that happened and it left deep wounds with all involved. Even moving to Ireland hasn’t been enough for most of them.. Thank you for spreading the awareness. I had to make a note about it at the end. It might bring the ‘mood’ of the piece down, but it sure is worth the mention. That war still lives on.. Thank you houseofrogue- until communist ways and mentality are rooted our there will be war of one kind or another I think.